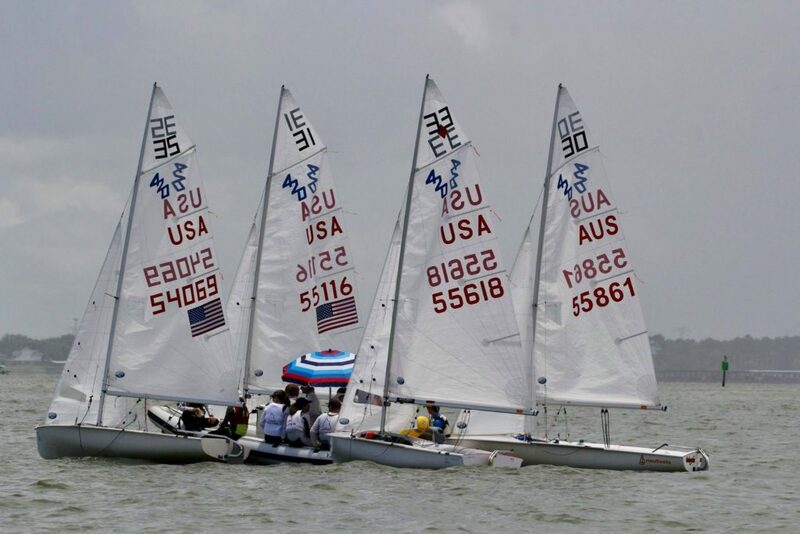 GCYSA I420’s have just wrapped up a hot, stormy Texas Youth Race Week hosted by Lakewood YC this year. We saw four days of light air plagued by summer thunderstorms that kept sailors and race committee on their toes! Despite the challenging conditions, every race was super close and sailors got a great opportunity to practice close quarters racing, always looking for the next opportunity to pass or how to defend a lead. 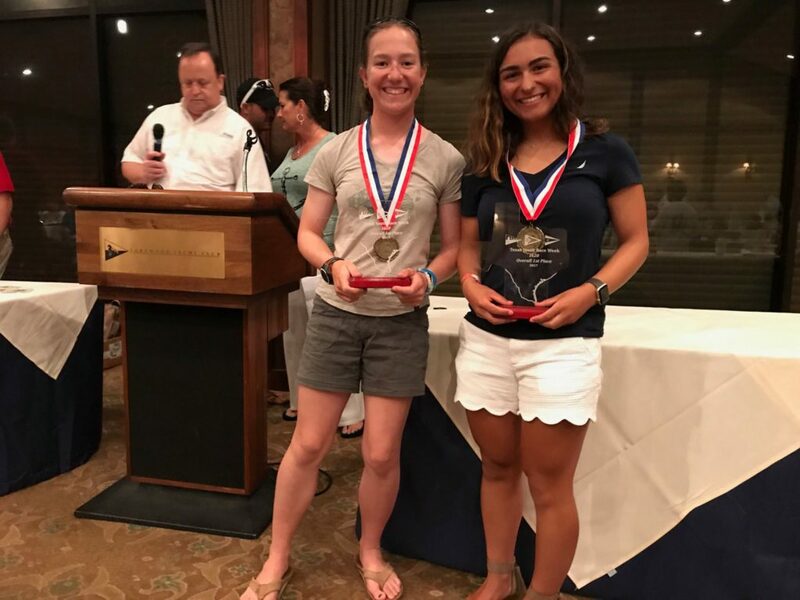 The event was divided into two, two-day regattas that counted towards an overall four day regatta winner. 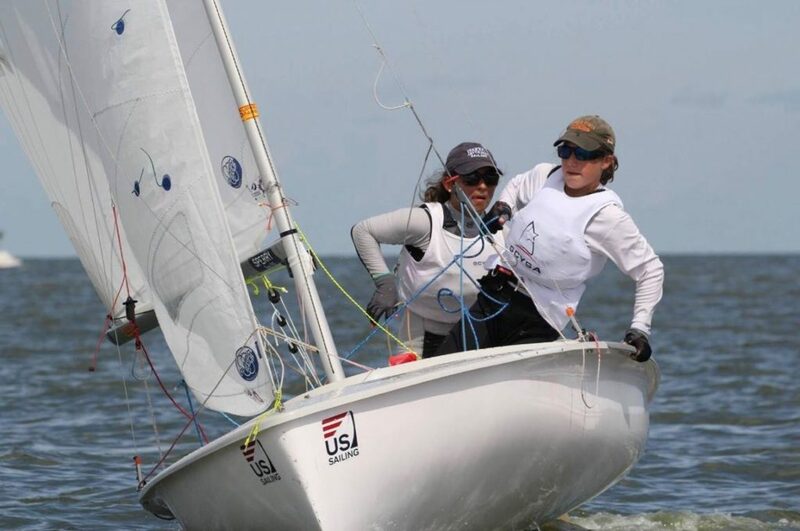 Alexandra Mares and Laurel Tyson took the win for the first half, and Alex Abate/Christophe Chaumont took the win for the second event in a nail biting final race. 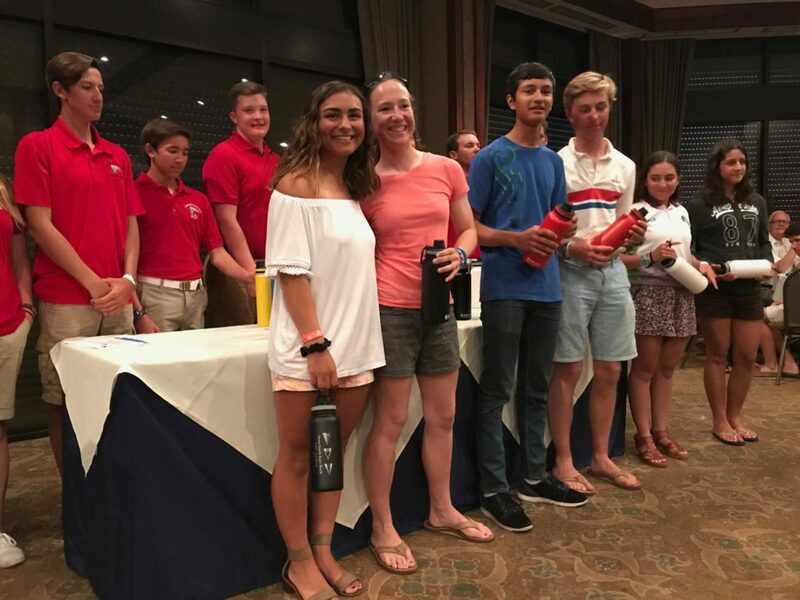 Congratulations also to Roberto Martelli/ Robbie Nicholls and Team Mexico México en el Texas Youth Race Weekend for putting in strong performances– every race saw lead changes on each leg! 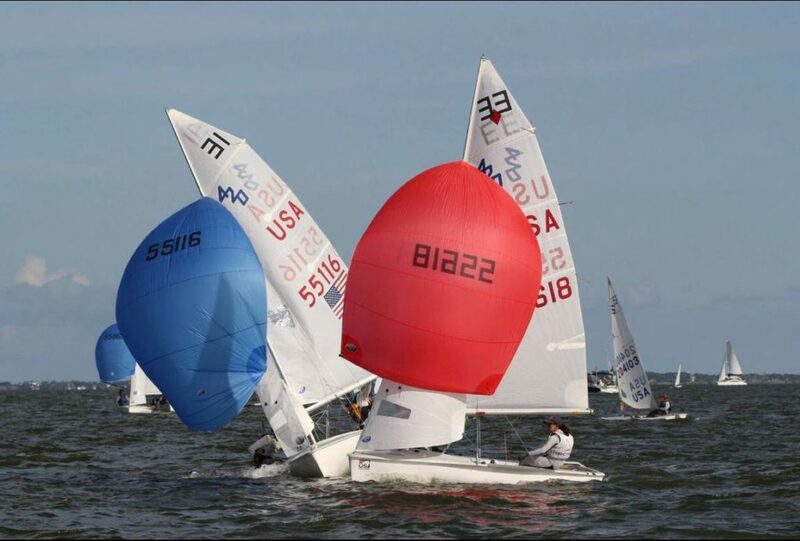 Also make sure to check out Tack N Gybe Photo for some awesome photos from on the water! 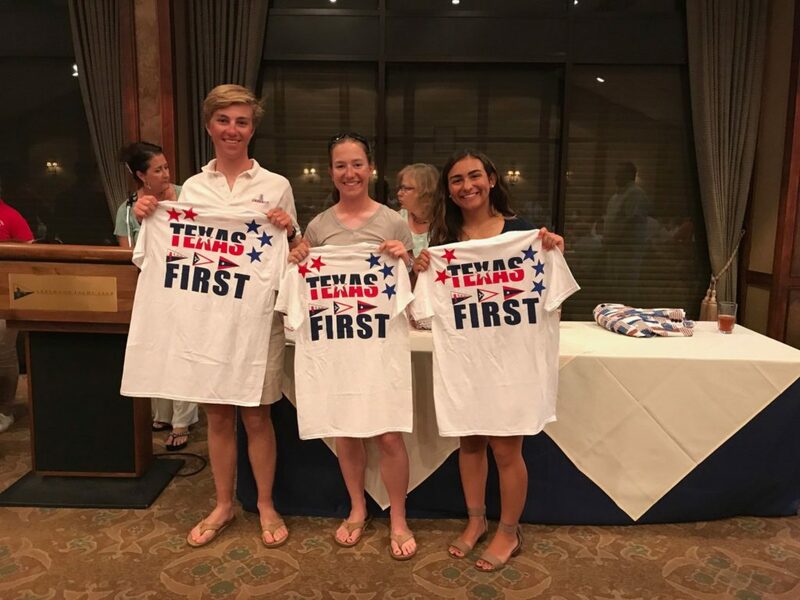 Full results can be found at https://texasyouthraceweek.com.